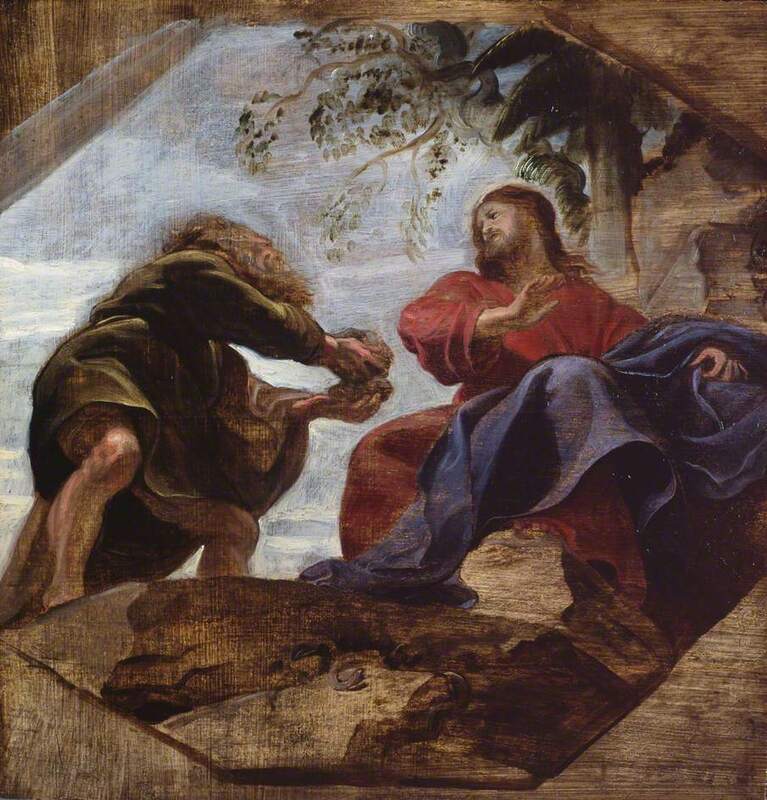 Jesus, full of the Holy Spirit, returned from the Jordan and was led around by the Spirit in the wilderness for forty days, being tempted by the devil. And He ate nothing during those days, and when they had ended, He became hungry. And the devil said to Him, “If You are the Son of God, tell this stone to become bread.” And Jesus answered him, “It is written, ‘Man shall not live on bread alone.’” And he led Him up and showed Him all the kingdoms of the world in a moment of time. And the devil said to Him, “I will give You all this domain and its glory; for it has been handed over to me, and I give it to whomever I wish. Therefore if You worship before me, it shall all be Yours.” Jesus answered him, “It is written, ‘You shall worship the Lord your God and serve Him only.’” And he led Him to Jerusalem and had Him stand on the pinnacle of the temple, and said to Him, “If You are the Son of God, throw Yourself down from here; for it is written, ‘He will command His angels concerning You to guard You,’ and, ‘On their hands they will bear You up, So that You will not strike Your foot against a stone.’” And Jesus answered and said to him, “It is said, ‘You shall not put the Lord your God to the test.’” When the devil had finished every temptation, he left Him until an opportune time. “Jesus, lover of my soul…,” “for God so loved…” and “Love your neighbor as yourself….” Yes, indeed: amen, and amen! But how does this God love!? “Jesus, full of the Holy Spirit, returned” from the spiritual highpoint of his baptism in the Jordan river, and “was led around by the Spirit in the wilderness,” “being tempted by the devil.” God so loved… that he led Jesus. So far, so good. But led into temptation? God so loved that he led him in the path of Adam and Eve, tempted by the serpent. He led him into the wilderness where Israel succumbed and worshiped what it had made. Led him in the loneliness, grief and confusion of Job. God so loved, he led him into temptation. “Lead us not into temptation,” says the Lord’s prayer—for that, we know, is the way you led him in our place. But is there any other way to the table set before us (Ps. 23)? Is there any other way to the cup that overflows, and the oil anointing our brow? The way of the cross we think we know, the way of suffering—but the cruel way of temptation? Or are they one and the same? Is the way of the valley of the shadow of death another name for the valley of pleasure, the valley of temptation? 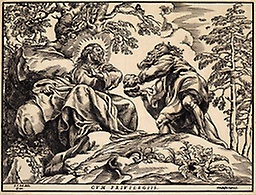 A moment’s thought reveals their identity, for it was here that the devil found a more “opportune time,” the temptation to crown all temptations: the temptation of goodness, of life (“take this cup from me!”). For there are things greater than life, but in this, the hour of temptation, these fade and lose their luster, their shine. The diamond, obscured by dirt, or hid from the light, sparkles no more, and it is an act of faith to cling to this small stone, selling all we have or might have, to possess this one treasure. He fought the devil, he won. Can something hope, wish day come, not choose not to be. Click here to visit Adam Johnson’s website.